Two weeks ago, rapper Kanye West was committed to a mental hospital after an erratic episode where he went on stage and ranted about Donald Trump and slammed fellow rappers. The sojourn has cast a shadow of uncertainty around the future of the wildly successful and creative rapper, but now, as per what was announced early this morning, it seems Kanye’s fans can breathe again. In a press release, Wests management announced a new album ”Yeezys Asylum” that will be hitting the stores in January 2017. The extraordinary thing about this album is that it was entirely composed within the two week period that Kanye has been in the hospital. Parts of the studio were reportedly transported to his room and he went to work quickly. The doctors accepted it because they thought it important that Kanye should be able to express himself despite being ill. Many are even saying that Kanye’s, what appears to be manic episode, may have helped unlock untapped creativity and really sped up the process of album-making. Kanye hasn’t himself commented the album but the internet is already abuzz with excited fans. 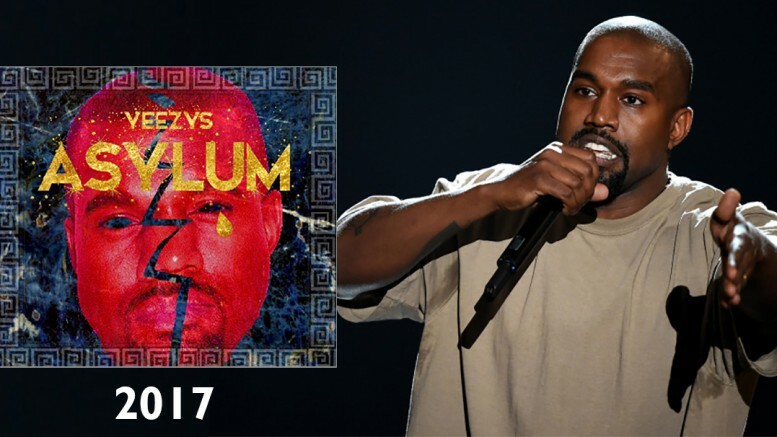 Be the first to comment on "Kanye West has made an album while in mental hospital – ”Yeezys Asylum” coming 2017"